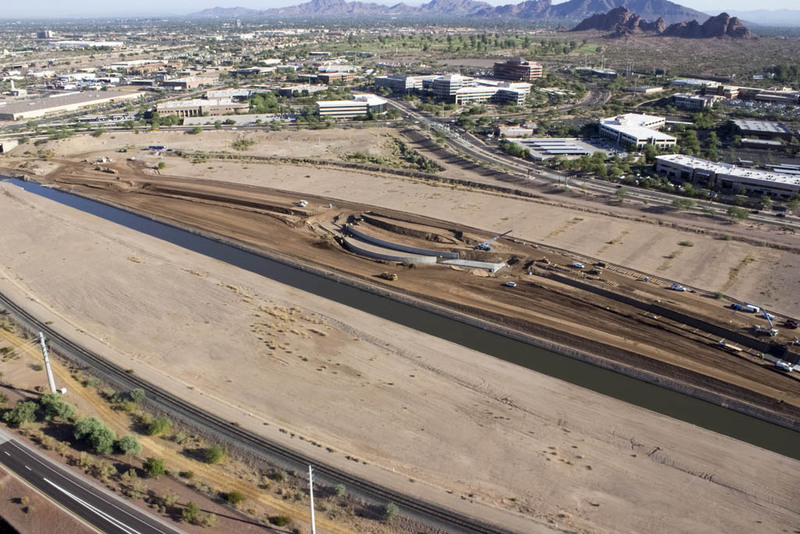 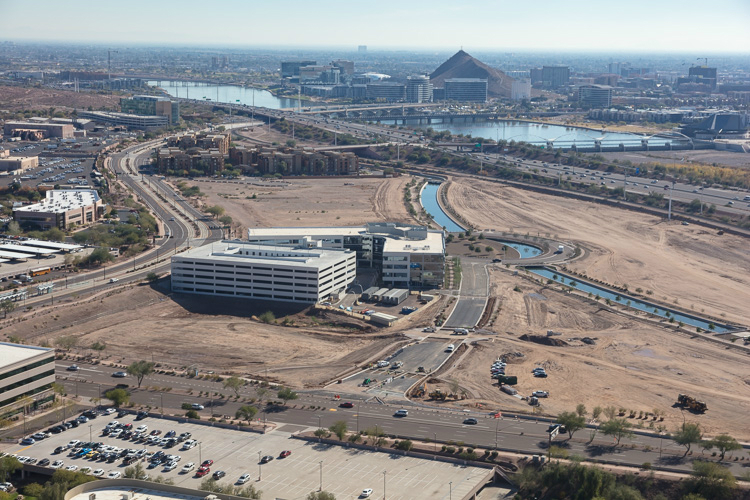 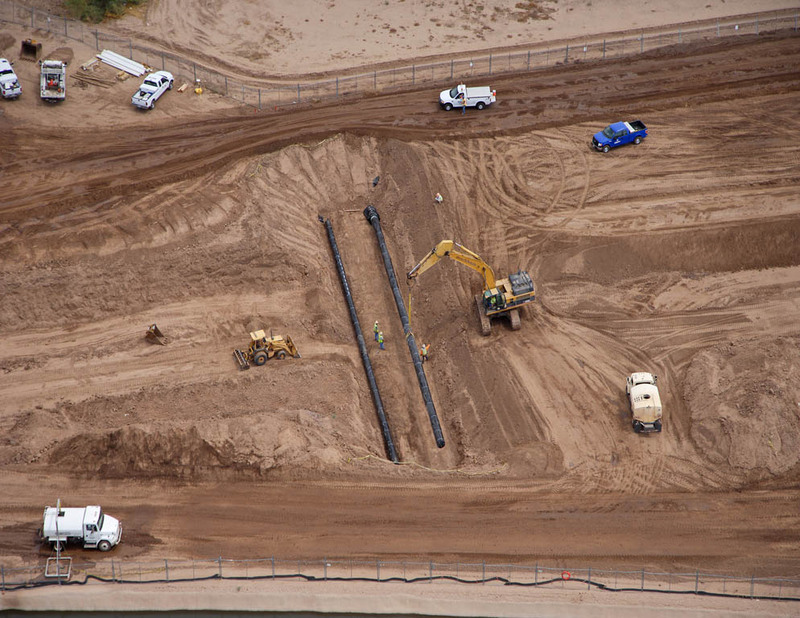 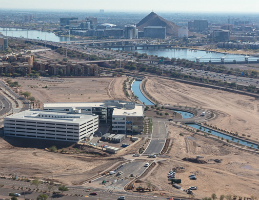 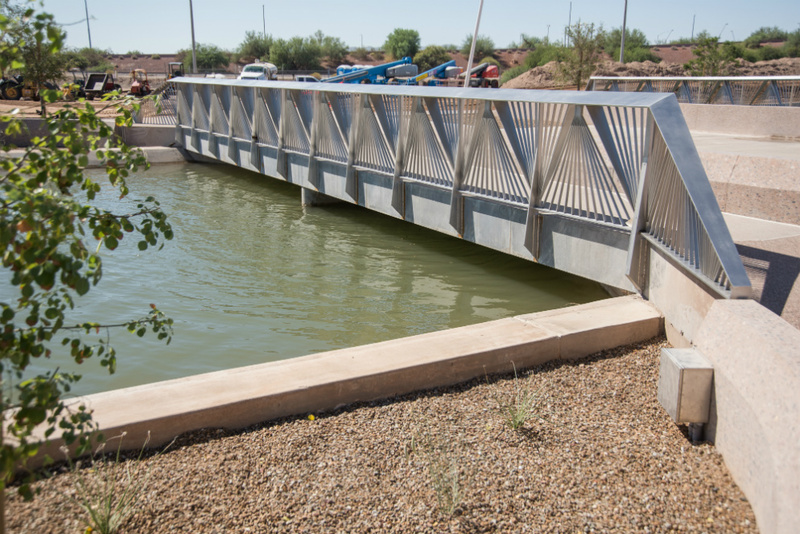 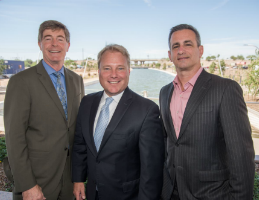 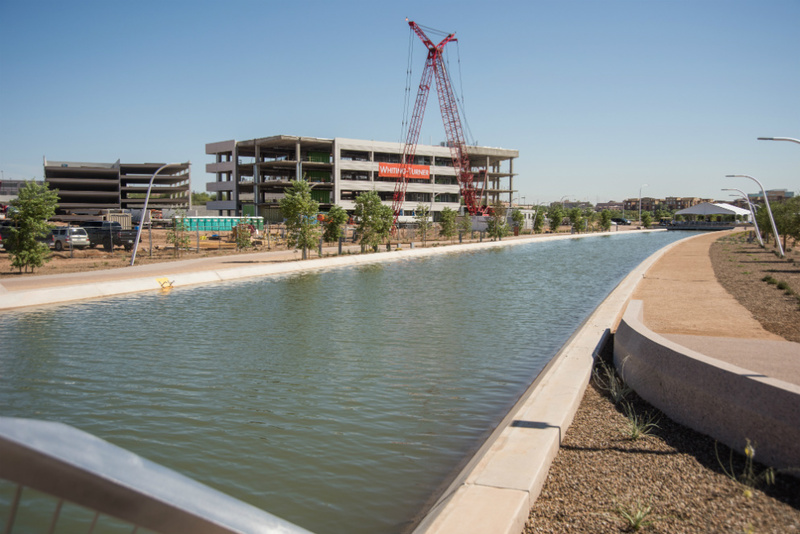 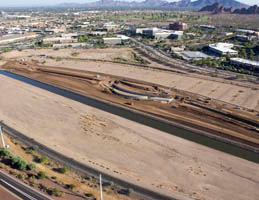 Construction is underway on relocating the Grand Canal at The Grand at Papago Park Center. 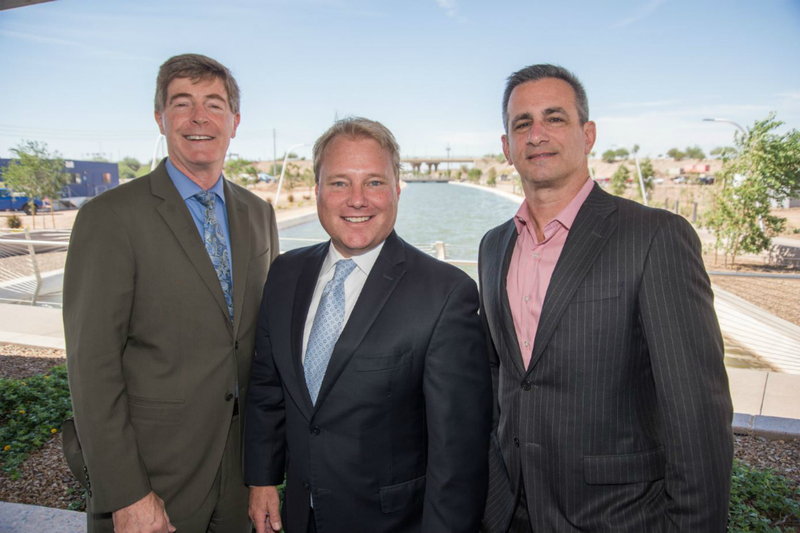 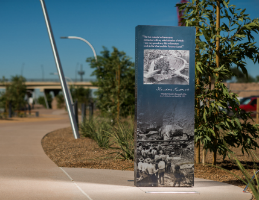 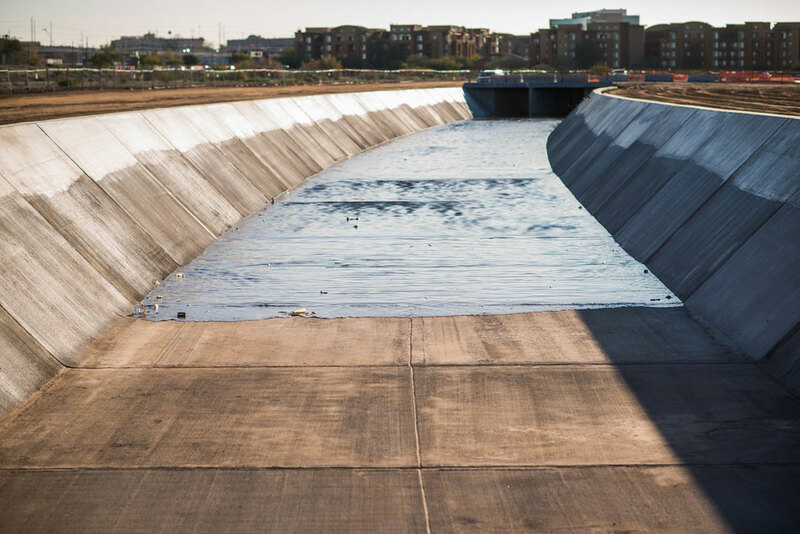 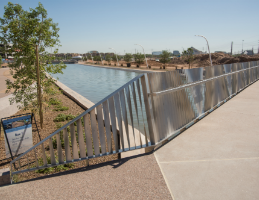 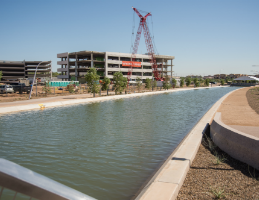 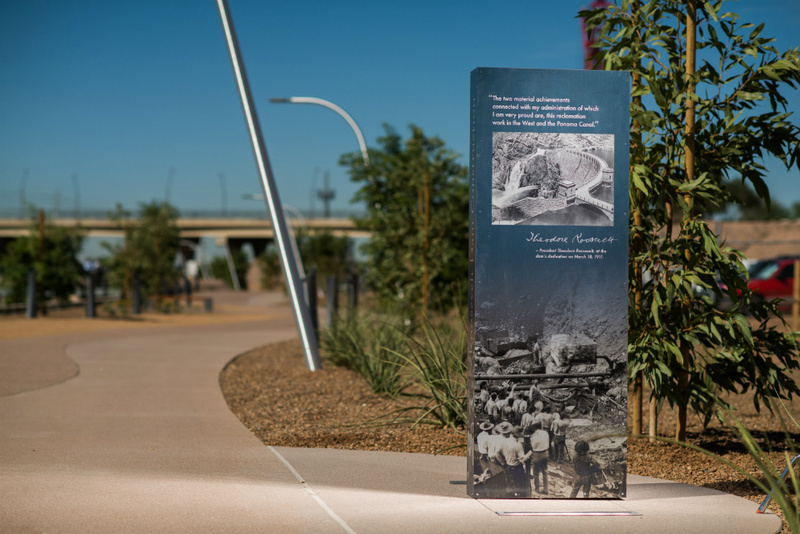 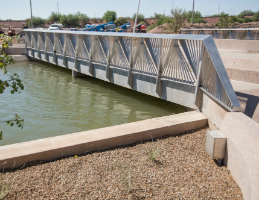 The first phases of construction involve relocation of the Grand Canal to create the development's centerpiece – a central water feature designed to evoke the qualities and character of Roosevelt Dam. 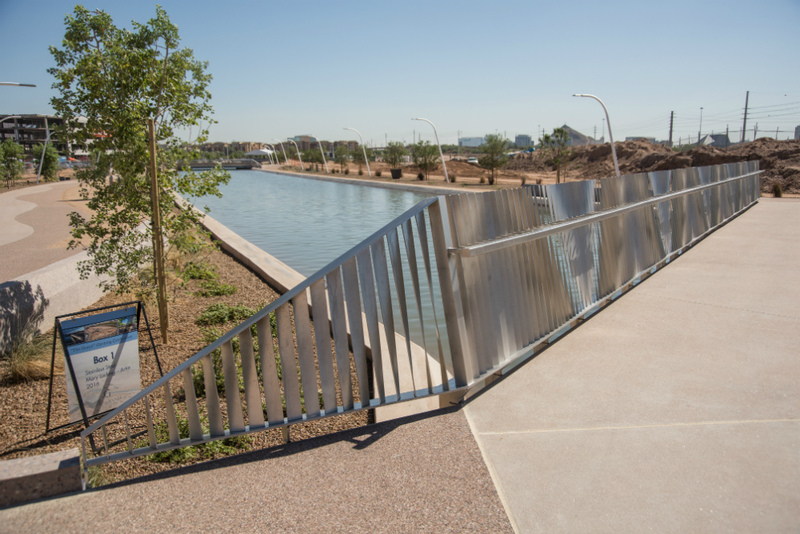 Multi-use path improvements will also be constructed along the north and south side of the Grand Canal. 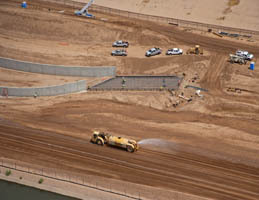 Construction crews are in the process of relocating the canal and have begun pouring concrete on the new slopes. 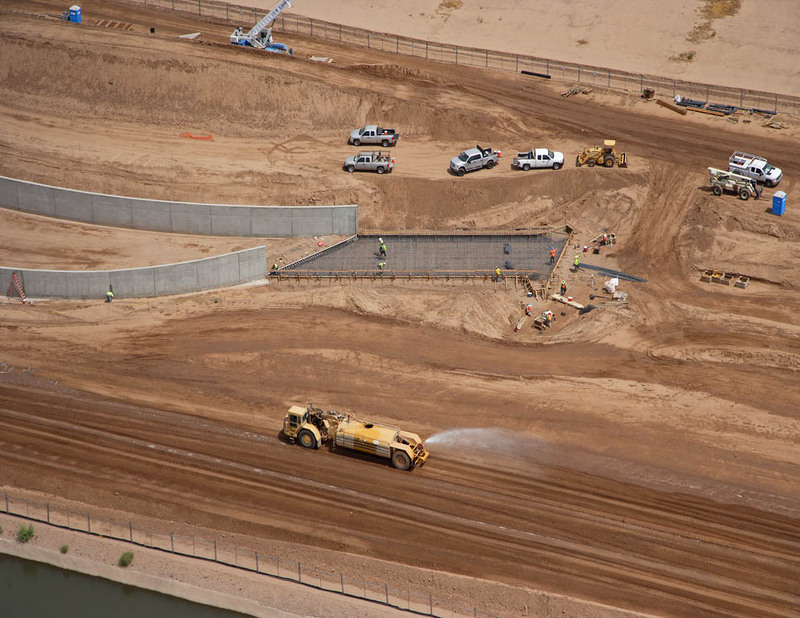 The initial dam structure has also been poured. 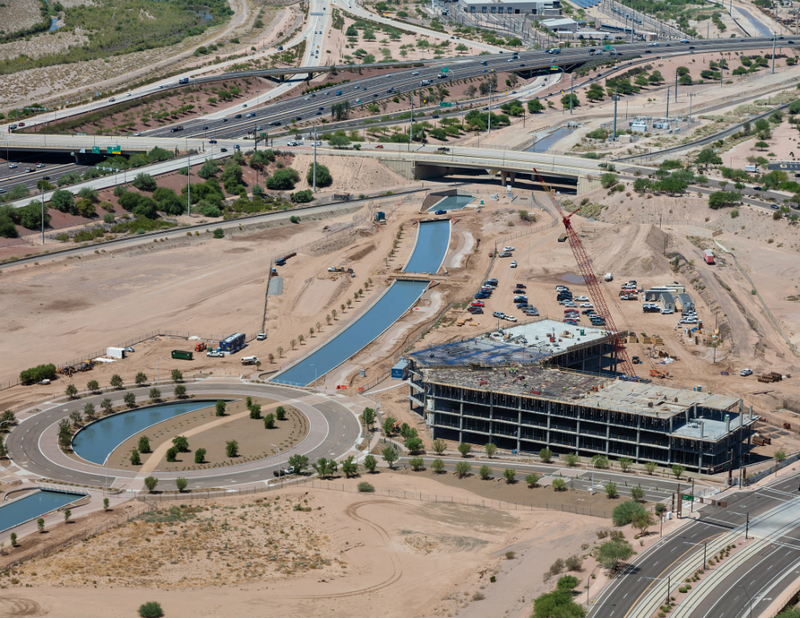 Construction is expected to continue through fall on these components of the development's centerpiece. 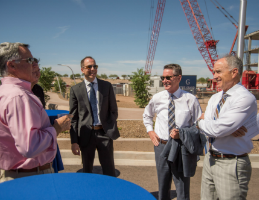 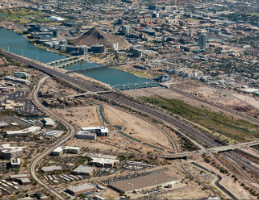 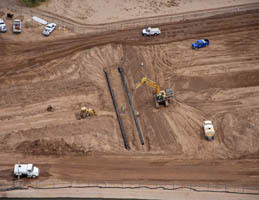 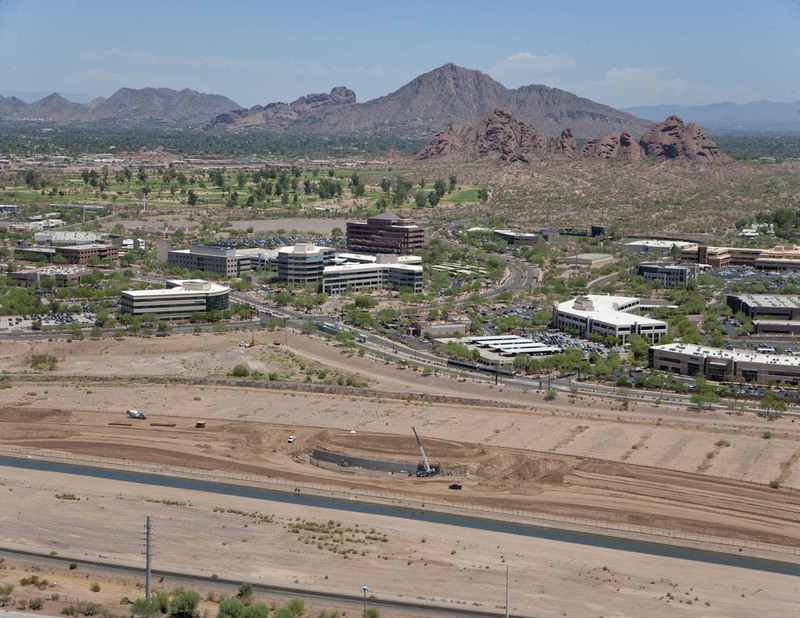 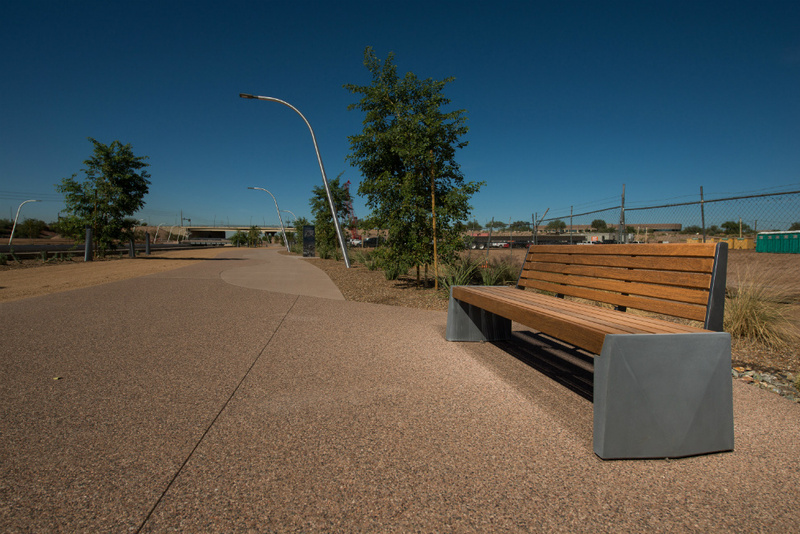 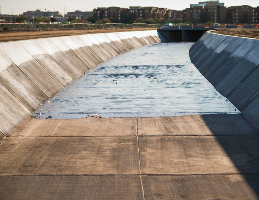 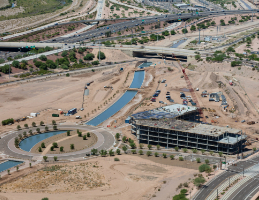 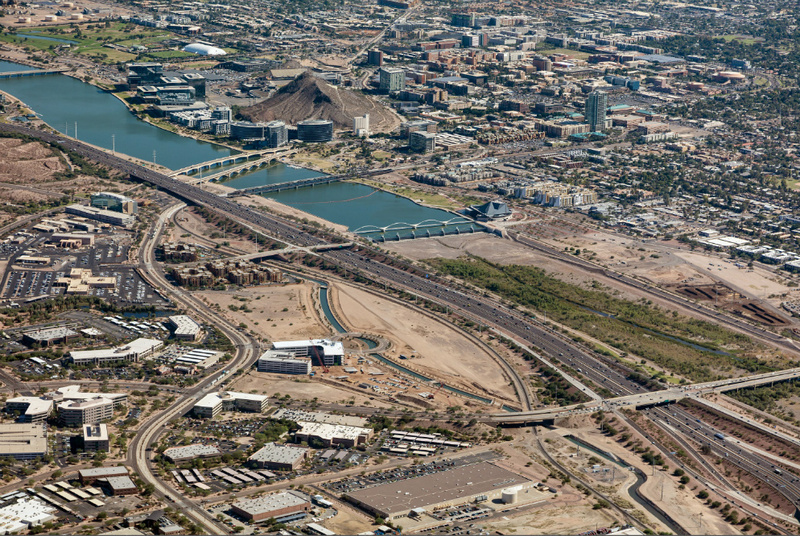 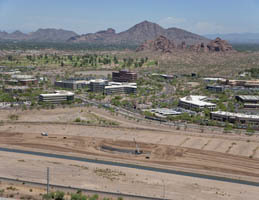 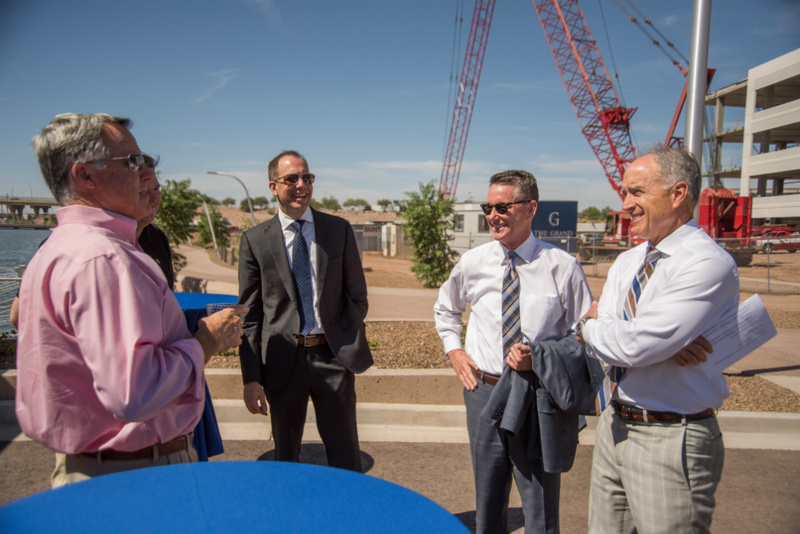 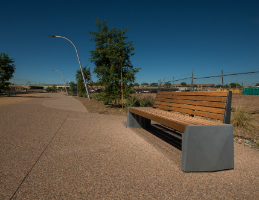 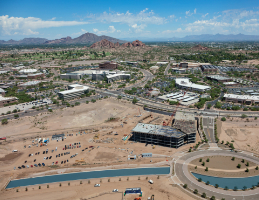 When completed, the 58.56 acre Grand at Papago Park Center will feature 3.187 million square feet of mixed-use development and include pedestrian access to two light rail stations, and almost immediate vehicle access to Phoenix Sky Harbor Internal Airport, Arizona State University and the Red Mountain Loop 202 Freeway.